We are searching for comfort and luxury our entire lives and we feel fulfilled and happy when we do actually find it. Can’t we say different for our companion animals that stand by our side 24/7? 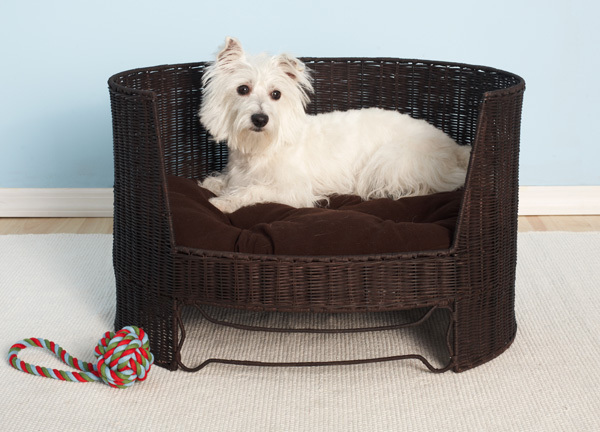 There are many different individuals that want their pets to have the same high life as they do and that is the reason why the luxury dog furniture market has taken a great interest in the last 5 years. More and more people are looking for new items and trends to buy for their loved animals in order for them to actually be happy. Comfort is one of the basic needs that any pet feels that it should be satisfied when providing a home for them. That is the reason why many pet furniture companies aim to provide the most comfortable of products for the pets of the clients. One great example in the industry is the Bark&Miao, one of the best brands when it comes to contemporary designed products for pets. Their vision is to bring comfort to a whole new level when it comes to our furry little friends. Their products combine unique materials, aesthetic appeal and most importantly, they have an innovative approach to pet furniture design. 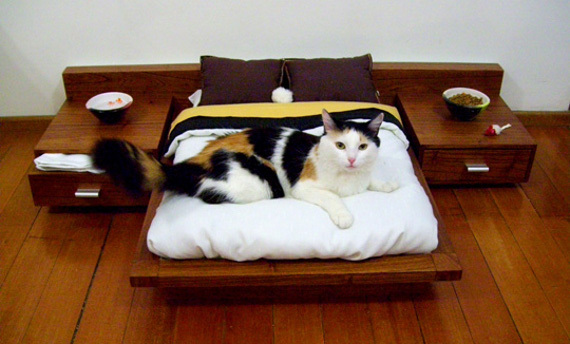 The padpod is considered to be one of their best items, available both for dogs and cats alike. It’s made out of the most comfortable padded cushions and it has washable fabrics in case a dreadful situation occurs. 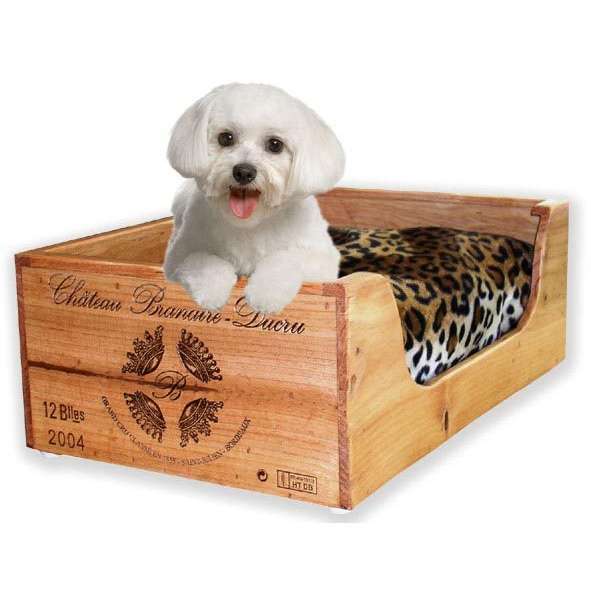 One other popular luxury dog furniture items are the comfortable couches for dogs, as they are one of the most ordered items on the market. Frontgate is a very important brad in this particular field, offering the chance for animal lovers to give their pets a very comfortable life. The greatest thing about buying a luxurious couch for your dog is the fact that it offers them space to relax and enjoy their naps and sleeps. 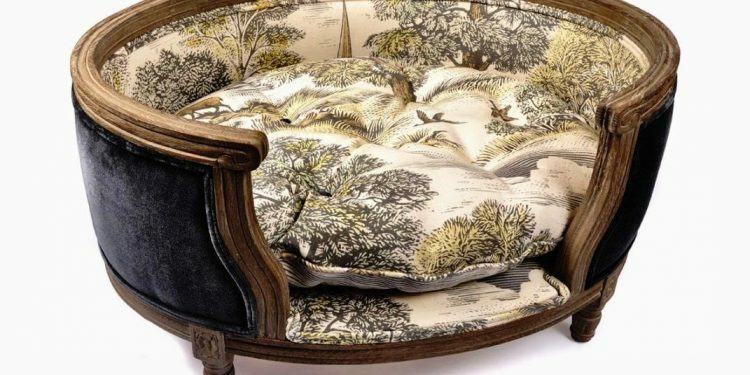 The price range varies from item to item, depending on the type of fabric that the client chooses, the shape of the couch or bed and even the materials used in the processes. Even so, the most popular choice when it comes to Frontgate’s products is the Chenille Cream Puff Pet Bed due to the softness of the bed. It’s basically like a cloud to sit on and many of the big dog owners are thankful for the fact that the item comes in bigger sizes as well. When it comes to animals, one of the most important qualities that they search for in their new homes is security. One of the best ways to actually offer that to a pet, beside a bed and food, is a warm and fuzzy blanket. Pauseandplay is one of the best brands to choose from in this particular sector as it brings various products to the table to ensure that a dog will not shiver on the cold days of Christmas. A great piece of advice for animal lovers out there: by taking care of your dog’s needs, from food, space, a bed, a blanket and showing love, your pet will never be happier.